How to Prepare for the Retake of the Exam? The progress of modern students, according to not encouraging statistics, is in a sorry state and noticeably suffers, so to speak. Yes, it is not surprising, because there are so many temptations in adult independent life, and how can we resist this temptation? We can facilitate your life to a certain extent by providing essay writing services on wedoessay.com. However, exams remain solely your battleground. It is not necessary that the frightening prospect of the retake of the exam should concern you. It is possible that this trouble will happen or has already happened to your groupmates. Someone did not have time to learn everything that is needed, someone was not lucky, somebody was overreacting. The reasons may be different, but the result remains the same – one needs to go to the reexamination. Indeed, the consequences of the repeated exam failure become a terrible dream for each student. There is something to be afraid of: after a short period of time, study becomes a pleasant memory of a carefree life, and life takes on very vague and incomprehensible prospects. No, this is not the case: if you want to continue to bear the proud title of a student, you need to "sink your teeth" into your student card, activate all dusty brain centers, connect charm and charisma, and not forget to make a smart look during the retake arrangement. Of course, this is not a complete guarantee of success, but we can assume that it is necessary for the beginning. It remains only to take care of the formalities, namely to learn a failed subject. It seems to us that a student on the verge of expulsion is able to retake even the most difficult examination with the excellent grade, because in such a stalemate, the old approved student truth works: "I did not know it, but I remembered it". Students are known to be a resilient people and resistant to all difficulties and conditions, so retaking an exam is just a matter of time and a kind of "matter of honor". Very often a student who fails the exam leaves the audience with eyes full of blood, with confidence in his or her rightness and dementia of an examiner. Moreover, such students call the examiner all obscene words, mentally sending him or her to the most difficult places. Such a reaction is understandable, because who wants to be expelled from the university in the midst of the educational process and during the construction of the foundation for a further career? Here it is important to understand that a strict teacher is just an obstacle in a difficult life path, which must be overcome at all costs. If you take the examiner in this way, then the feeling of hatred, resentment and aggression will very soon evaporate, but the sense of principledness will still prevail. In addition, it is important to realize that your donkey stubbornness needs to be coordinated in the right direction in such an unprofitable and dangerous situation: not to argue with a specialist, but to deepen your knowledge in the subject matter. We also need to understand that the simple truth that "the teacher is always right" has not been canceled yet, so do not hold your ground, otherwise, the grade will certainly not rise from such a dispute. All professors consider themselves to be the most competent specialists, therefore, they cannot accept the rightness of the student even on a subconscious level, what to say about public censure and own exposure. It is best to approach the examiner, explain to him or her a good reason for your unpreparedness, and then tactfully ask about the possibility of the retake. A lecture that will follow in response is obligatory must be survived, because the future of student life depends on this. As long as the professors express their indignation, it will noticeably subside, and at the sight of your depression, they will decide that "one should not hit a human when he or she is down," and will fix the day for the long-awaited retake. After that, we can assume that half the battle is won. As the long-standing practice shows, professors at all times are indifferent to potentially expelled students. Therefore, do not be naive to believe that before retaking the exam, the examiner will personally go to the dean's office and take a new sheet specifically for the student, who is at the bottom of the class. This will not happen, but it is precisely known that if there is no characteristic document on the re-examination, the beginning of the retake will not be the most favorable. There is an option that the professor remembers you. But you do not have to rely on it, in the end, you are already on the retake and, therefore, one serious mistake has already been committed. That is why it is so important to be "fully armed" so that the examiner just had nothing to complain about. However, a snag may occur with the secretary in the dean's office, who also has bad moods. That is why, in order to agree without problems, it is important to choose the time and place, and most importantly – to be on good terms with him or her. That is where you need to communicate well. 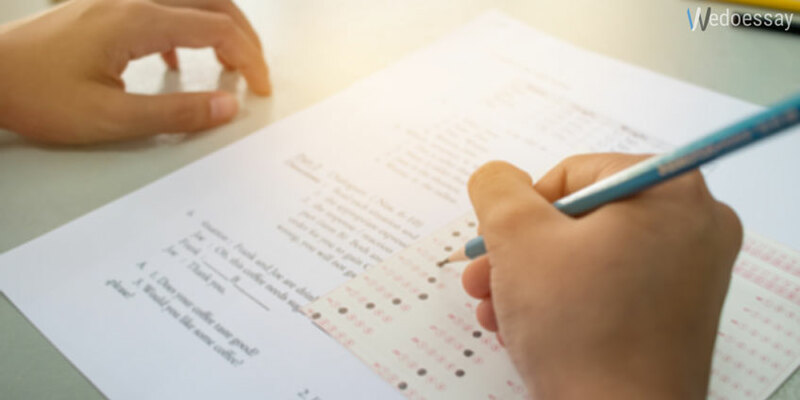 So, the main task of the student is to receive a blank form of the examination sheet from the secretary, as well as a sheet filled with examination grades of the whole group. Why is it necessary? As a rule, all professors do not particularly favor students who have to retake the exam, because they are clearly convinced that "everything in its season". They also do not like to mess with the documentation, so it is necessary to surprise the specialist with your deep knowledge of the subject so that they do not think that once again they have wasted their valuable time for organizing and conducting the retake. So, you can safely go to the retake with the examination sheet, the blank form and the full baggage of knowledge while behaving confidently, letting know that this time your answer will amaze even the most hardened skeptic. How to Prepare for the Retake? You have to prepare for this important event either during the whole semester, attentively attending lectures, or a couple of days before the exam, when the head and mind are only set to win. Of course, all the students choose the second option since there is simply no time left for studying every day due to the adult life. So, in the case of the retake, it is advisable to start preparation in a couple of days before the very exam, and the first day should preferably be devoted to mastering the new material, and the second day – to fixing and outlining especially difficult topics or sections. But still, what are the rules for successful preparation? First, you need to master the material consistently since the new topic contains a part of the material that has already been studied. Accordingly, it is better to receive knowledge gradually accumulating them from the read pages. If you prepare with fragments of different themes, then the retake of the "polyglot" is also doomed to another failure. Secondly, it is desirable to consolidate knowledge by revision of the already resolved tasks. This will allow the theory to be applied in practice, and also to strengthen some important rules, formulas and definitions in the brain. In addition, when there are certain difficulties, you can always look into the ready solution to visually memorize the sequence of the solution. Thirdly, it is recommended that all rules and definitions be reproduced in an arbitrary form with a clear understanding of what has been said since memorized theses and quotations, as a rule, remain beyond the bounds of understanding. The professor, however, requires awareness and consistency of exposition, and not prose, memorized by heart, because such knowledge cannot be used in practice. Fourthly, before retaking, it is extremely important not to violate your usual routine, that is not to lose a healthy appetite, sleep and rest. Full nutrition provides the energy required for the retake and brain activity, and a full sleep and a sense of rest retain power and attention during the exam. Fifthly, during the reexamination, it is necessary to make an intelligent look and not to be silent at all since at such times the inspector can simply dumbfound you with the next question. It is best to have a lively dialogue with the professor, which will help not only brighten up the protracted minute of silence, but will also approach the correct answer. And the last thing: if the teacher puts the satisfactory grade, do not argue, proving that your knowledge is at least worthy of a solid "good". The retake is not a place for bidding, because one wrong word and you can be surprised to explore a new and alien world for you, full of people without higher education. Here we are talking not about getting a scholarship, but about the further study in a higher educational institution. It is also not recommended to use cheat sheets on the retake since it is not known how such an act will be appreciated by the professor. So, it is better not to joke, but qualitatively prepare for the so-called "attack on the enemy citadel" which was not firstly besieged. The retake is a unique opportunity to change tactics, so it is important to take advantage of it. If everything goes smoothly, then you can relax, because studying at the university continues. However, it is best not to bring the situation to such extreme moments, and all the examinations put by the educational process must be taken during the session and preferably from the first time. So maybe it is enough to sit in front of the monitor screen? Is not it time to prepare for this important event? We wish you success. Everything will be fine, believe us.